Spicy Vegan Ramen. We are all familiar with ramen, remember, in a box, full of chemicals and starch? It was a food that you ate when you were low in budget in most cases, although I know people who love this junk. 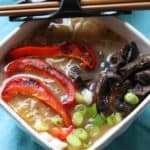 This homemade from scratch ramen bears no resemblance to that ramen. 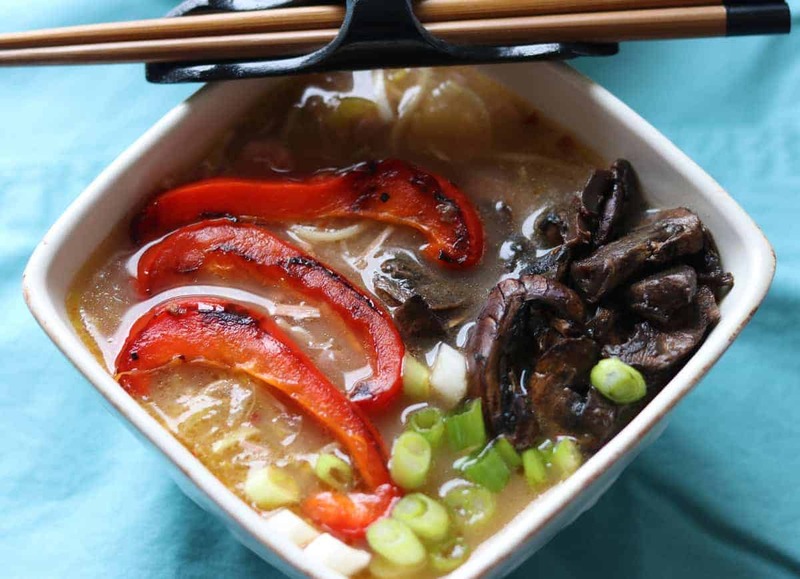 This is a delicious, full of nutrition and flavor ramen that is vegan, gluten free and dairy free. You will never go back. 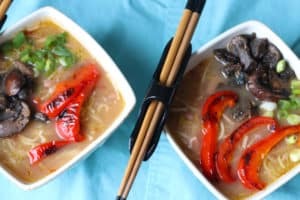 Spicy Vegan Ramen. 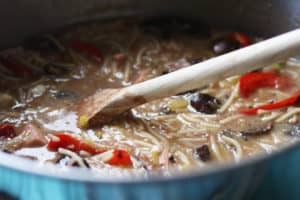 New take on ramen...vegan, gluten free and dairy free. 4 tbsp. chili sauce--the sauce I used was Maggi Sweet Chile Sauce Mild, so adjust to taste. Chop jackfruit, red pepper and garlic cloves and saute in olive oil. Add onion powder. Combine remaining ingredients in large pot and bring to boil. Add cooked pasta and simmer for 15 minutes on low heat. Add jackfruit and garlic and stir until all ingredients are combined.